Reach Out for a Commitment-Free Consultation! 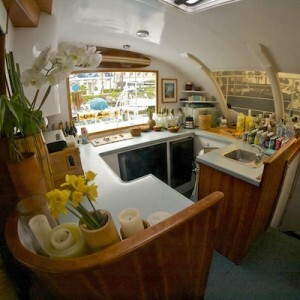 Now that you’ve gotten a taste for why we are the #1 voted sailboat charter San Diego has to offer, it’s time to start thinking about the kind of trip you’d like to book with us on the Aolani! Our captain and crew can accommodate just about any ocean adventure you, your family, or your company desires, so now it’s up to you to custom tailor your experience. 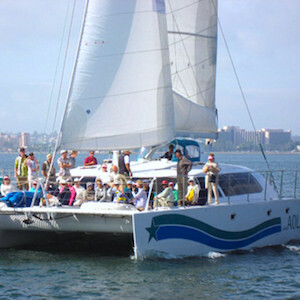 It is our family’s passion to deliver exactly what you’re looking for in a luxurious and relaxing catamaran cruise. San Diego is one of the most beautiful cities in the world with San Diego Bay boasting unique ships and aircrafts, military carriers and submarines, as well as Navy SEAL training. 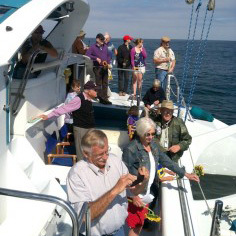 Our catamaran is by far the best way to take it all in, making for a once-in-a-lifetime opportunity. 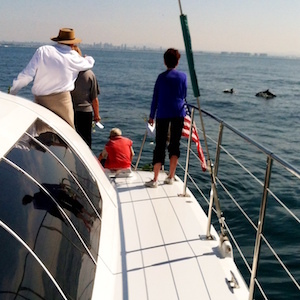 Imagine attending a wedding, a holiday celebration, or even a remembrance of a lost loved one aboard our fine vessel, while surveying pods of dolphins and enjoying award-winning, gourmet catering with great company. Whatever the occasion, the experience will not soon be forgotten. 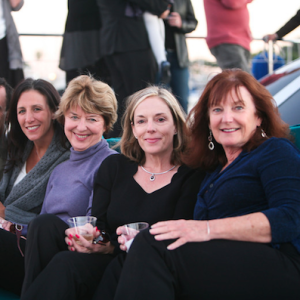 We truly believe that everything is better on the water! We promise that joining us for any one of these unique voyage ideas will elevate the event, and leave you with memories you’ll treasure for a lifetime. Simply reach out by phone, email, or in person, and take advantage of a commitment-free consultation. We will be thrilled to hear from you, and go over the details of your unique and exhilarating chartered voyage. It could be an adventurous day cruise to Glorietta Bay or La Jolla Cove for swimming, snorkeling, and stand-up paddling with a tour of Coronado island. Don’t worry about the weather or the time of year; even if it gets chilly or rainy, the spacious and luxurious interior salon can accommodate your full party comfortably. 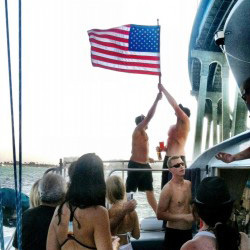 Since 2003, our family has been passionate about providing a truly unique and enjoyable sailing experience to our guests, with warmth, comfort, and professionalism. 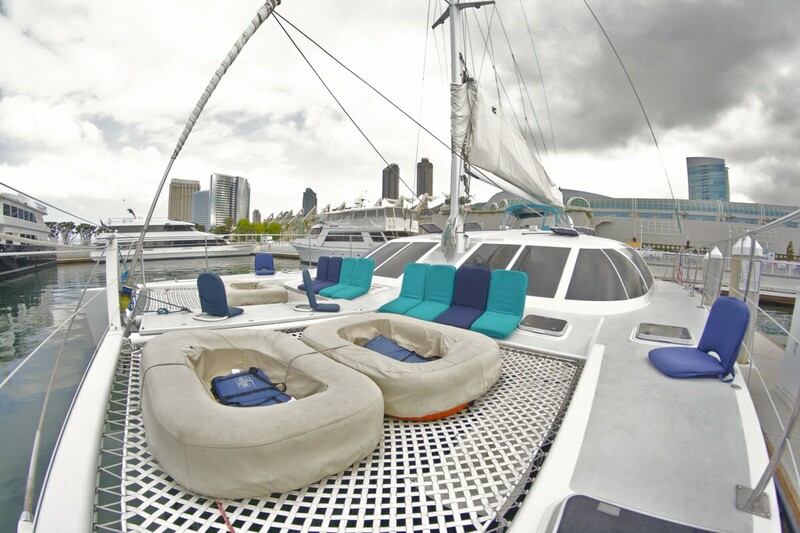 Our 58-foot, twin engine Sunchaser American Catamaran is the best possible way to experience the natural beauty and splendor of San Diego. 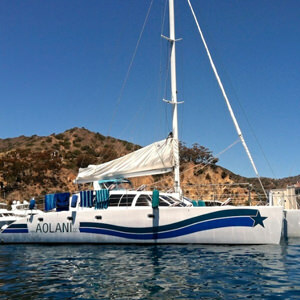 We can’t wait for you to set sail with us and join the growing ranks of people we now consider “family.” Contact us today to start planning your unforgettable catamaran cruise on the Aolani! 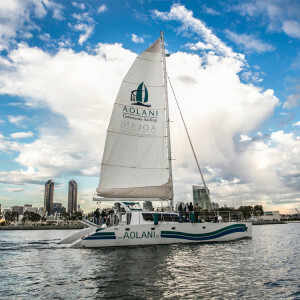 The Aolani Catamaran Sailing is located at the Sheraton San Diego Hotel & Marina, directly across the street from the San Diego International Airport. Coming from Interstate 5/downtown San Diego: Follow the signs to the Airport. You are now on Harbor Drive. Between Terminal 1 and Terminal 2 is a stop light. Make a left at the stop light onto Harbor Island Drive. (at that stop light to your left is a sign saying “Harbor Island”) Drive ~200 yards and on your right will be the Sheraton Hotel Marina Tower- with a big “S” on top of the 12 story building. Park in the hotel parking lot or at a spot nearby. Walk straight through the lobby and exit through the large glass doors that enter into the Marina. You will see a Whale Fountain in front of you, make a right and walk ~200 yards to a gated entrance that will lead you to the marina’s docks. We will greet you at the gate. Self Parking is available to you at the Sheraton Harbor Island Hotel & Marina. Also, we hand out tickets after each tour to provide you with a discount for day rate parking. There is also a public parking lot along Harbor Island Drive, as well as along the San Diego bayside. Note: We are so close to the airport that many times flight crews walk across the street from the airport to this Hotel.